Where will Facebook Live's video streaming take us? How close is Facebook to becoming The Circle? Sometimes the future is coming at you at a faster rate than you expect it to come. This post is about exactly that feeling. I never thought the ideas I read in The Circle would become a thing in the actual world as quickly as they did. Let me start with a synopsis of the book. The story is about Mae, a young woman starting a career at a tech company (The Circle) comparable to Google or Facebook. Their goal is to make 100% of internet traffic go through them. This way, they’ll have a complete view of the internet and are able to better serve both their users and advertisers. 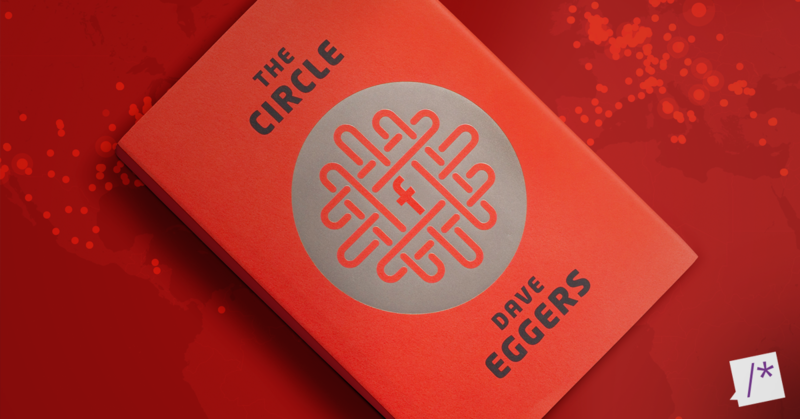 Spoiler alert: from this point onwards, this post contains details about the story and plot of The Circle by Dave Eggers. If you haven’t read the book, and still want to read it without spoilers, don’t proceed. As you follow Mae's progress through The Circle, new products get introduced. One of these products is a live streaming camera. The camera streams its recordings directly to The Circle. People using the Circle can log in and see what every camera is streaming at any time. Not long after, the idea of ‘going transparent’ is introduced. To become transparent, one would have to wear one of these streaming cameras around their neck, and with it you will start streaming every part of your life. The first people to do this are politicians, people who have great value in being perceived as transparent. But not long after, the main character also goes transparent. The philosophy of The Circle is that by going transparent, you’ll become a better person because you potentially have millions, or even billions, of people who can watch your every step. This will make it less likely for you to make bad decisions. Essentially turning people into 'better' versions of themselves. The book main character chooses in favour of this transparent movement. But I don’t like the idea. Last summer, as I finished The Circle during my holiday, the story made me think differently about my day-to-day activities during my work: data collection and analysis. I had not looked at Google and Facebook in this way before. I'm a frequent user of both platforms and their tools, but seeing the potential power of a tech giant in this way, well, it frightened me. Though at that time, I thought it wouldn't happen that quickly and without anyone saying anything about it. And then, Facebook held the 2016 F8 conference. At April 12 2016, during Facebook’s annual F8 developer conference, Mark announced the availability of live streaming for everyone. The Facebook Live product page. Visit https://live.fb.com for details. This instantly revived my memories of The Circle. Live streaming for everyone: it seems fun for now, but what if it actually goes the way of the The Circle. In the book, the first example for a use case of the camera is about a surfer: what if he could see the waves at the coast, before actually going there? This way he knows if he will be able to surf when he gets there. A great example. But as mentioned above, it soon switches to the 'transparent idea'. There will be cameras everywhere, streaming everything. Even if you’re not logged into The Circle (Facebook), you could still be tracked by them. You won’t have a choice. Though I still thought the utopian view of the book to be miles away. Facebook Livemap shows all active public live streams that are currently being broadcast around the world. To me, this is the potential step one, or maybe 0.1, to the transparent future described in The Circle. People will first start streaming what they like, but I think it won’t be long before the first ever streaming cameras will be put into place. And not long after, there’ll be no way to get around them. They track other pages with their like buttons and other tracking techniques. Facebook will show you how many people were near your store, or in your store, with the help of both beacons and location services. M, Facebooks AI, is their promised personal assistant that will arrange as many things for us as possible. Instant articles lets publishers create content for Facebook, without users ever leaving the site. Chat bots (also announced at this year’s F8) promise to deliver all the info you need through their messenger system. Add the discussed live streaming to this list, and we have our candidate for a real world equivalent of The Circle. Keep in mind that this is what you opt-in to when you’re using the social media platform. Every once in a while, stories pop up about Facebook building visitor profiles of users who don’t have a Facebook account. In these cases, judges normally require Facebook to delete the profiles. But this isn’t something they do by default apparently. So when your stance in this is "I don’t use Facebook, so this won’t impact me", think again. In the end, this example shows just how fast a fictional future may become an actual reality. The book was first published in October 2013, I read it in the summer of 2015, and the first steps to the omni-streaming transparent utopian world of The Circle are already here in early 2016. Though somehow, I always imagined it would be Google to make these steps, not Facebook. Where this will lead to, I don’t know. But I'm happy that I'm aware of the development.